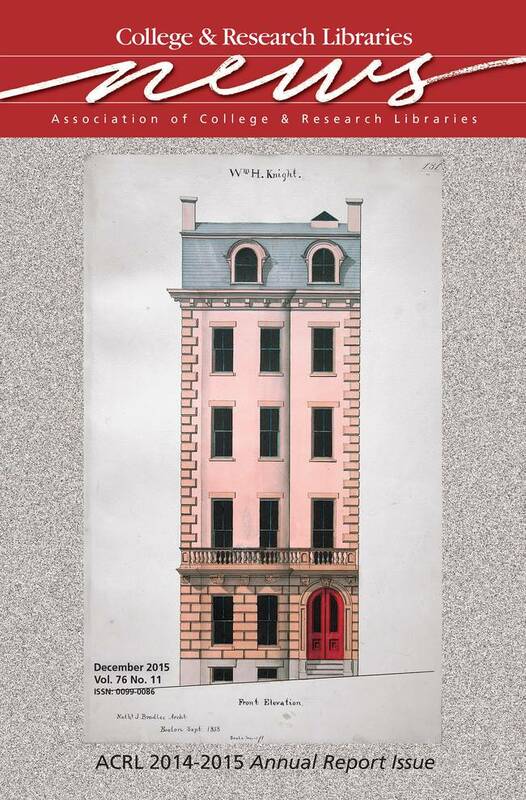 This month’s cover image is an architectural drawing of the William H. Knight House in Boston. This elegant Beacon Hill townhouse at 7 Walnut Street was erected in the summer and fall of 1858. The drawing is just one of many produced for the project by Boston architect Nathaniel J. Bradlee that form part of the large Bradlee architectural archive at the Boston Athenæum. Bradlee drew at least two other proposals for the building’s exterior before settling on this five-story, bow-front structure with quoins, a rusticated first floor, and a full-length, second-story balcony. The building still stands today, and its exterior indicates that the construction was remarkably faithful to the drawing. Founded in 1807, the Boston Athenæum is one of the largest independent membership libraries in the United States. Visit the Boston Athenæum online at www.bostonathenaeum.org/. Image courtesy of Boston Athenæum.